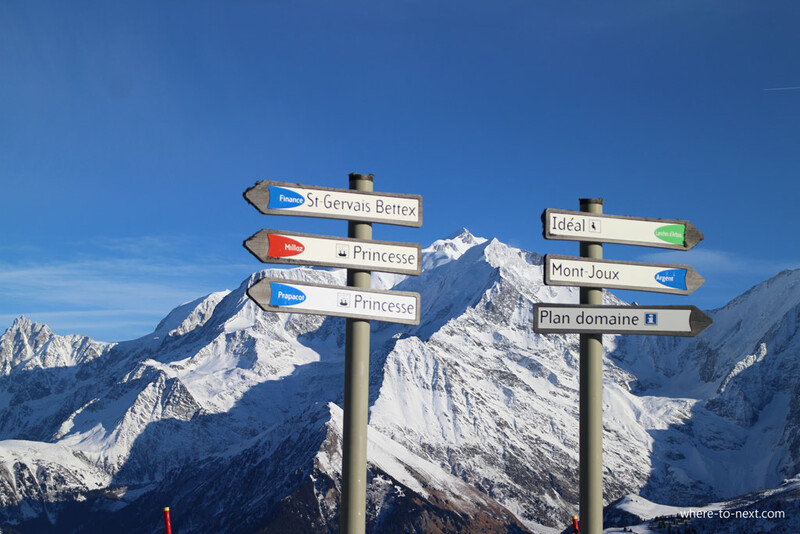 Ski France: Magical Megévewhere to next? 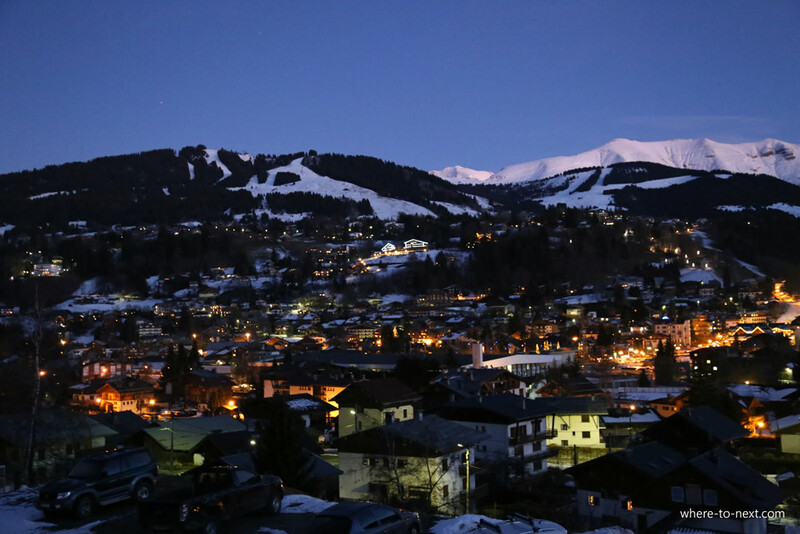 The French elite established Megéve as a ski resort back in the 1930s, when their previous choice of St Moritz became a favourite of the Nazi elite and they needed an alternative. So compared to some ski resorts in the French Alps, it’s relatively new. It is a cosy little village, originally (and still) the marketplace for surrounding dairy farmers. 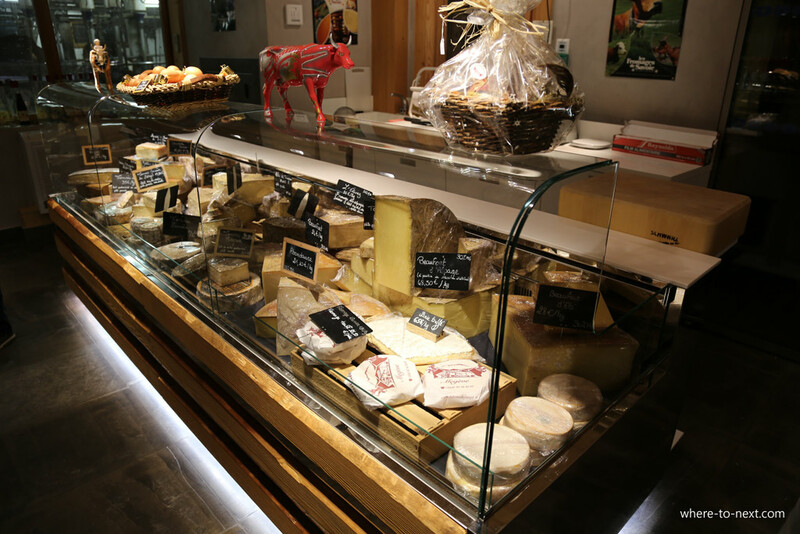 You can get a good taste (literally) of the dairy farming life with a visit to La Ferme de Joseph, a working dairy farm, restaurant and delicatessen, to sample the local cheeses, yoghurts and ice cream. And what a better way to get around town than a horse-drawn cart ride through the windy little cobbled streets? 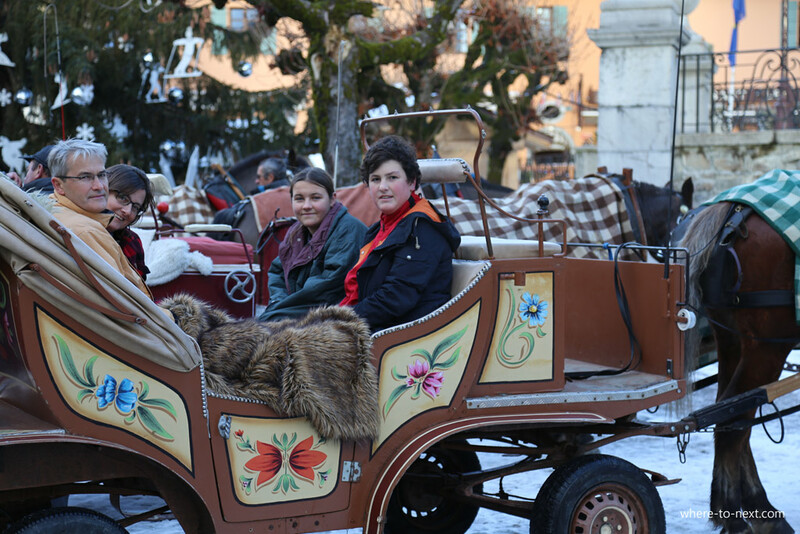 Starting in the main square below the church, your carriage will take you through many little laneways and into the surrounding countryside, while you snuggle up from the cold under blankets and furs. Now that we’ve seen the town, we can’t wait to get on the slopes. It’s roughly a 10 second walk to the gondola from our hotel, the Chalet St George, which takes us up the mountain within 10 minutes. From here you can either start shredding on the Megeve side straight away, which is what we did; lots of blue and red runs. Or you can catch the shoebox across to Mont D’Arbois. From the top of the Ideal you have an infinite number of runs to choose from. To warm up, we went down the Mandarin, a steady green slope, led by our instructor Nicolas. At the bottom of this run you can get a four man back up to Ideal, or continue on down to a six man or a button lift, depending on where you want to go next. 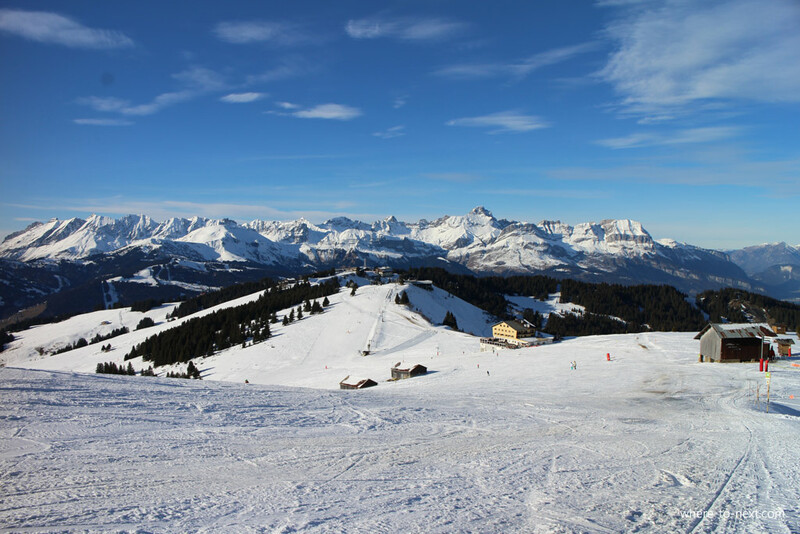 From the top of the Mont Joux six man, we curve down the left side on the Pierre, and then follow it down to more chairs. 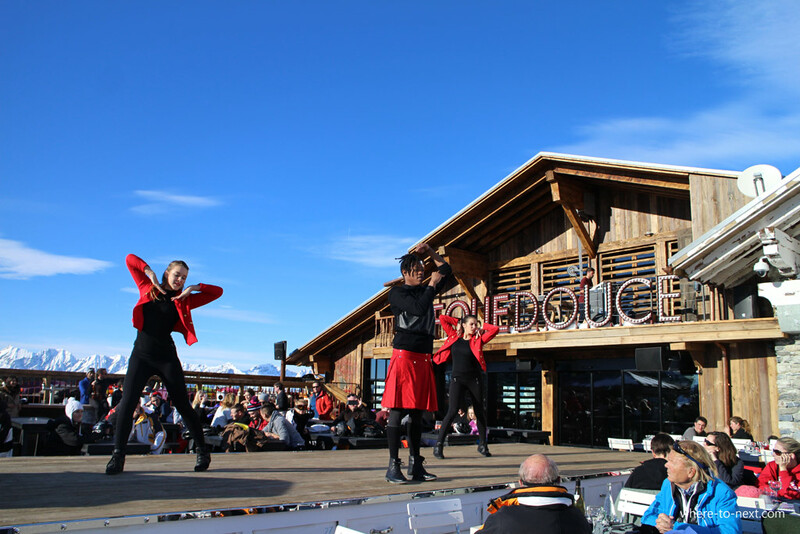 On the slopes (as well as the village) there is plenty of choice of eateries but if you want a serving of cabaret with your lunch, then make a stop at La Folie Douce, who serve a selection of hearty food accompanied by a pianist, clarinet player and a few dancers. It’s just a little bit surreal. 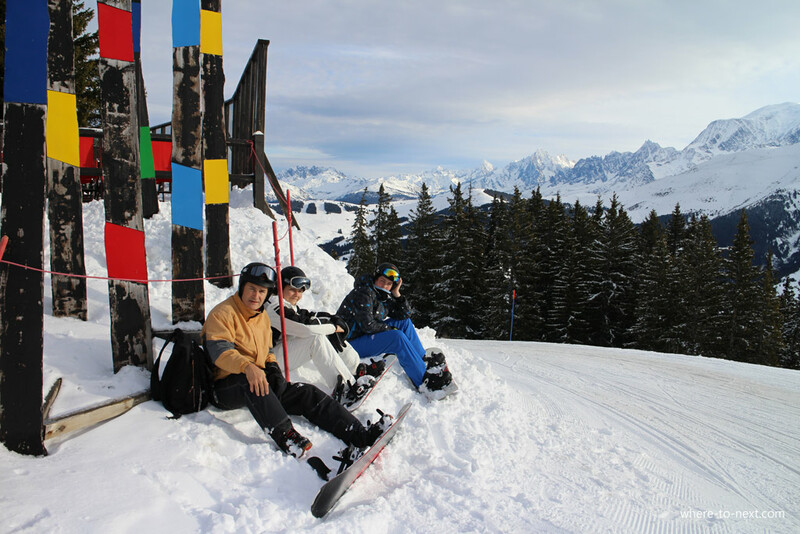 After lunch, we decide to let the teens can go mad on the reds and blacks, while we continue our mountain tour with our instructor. 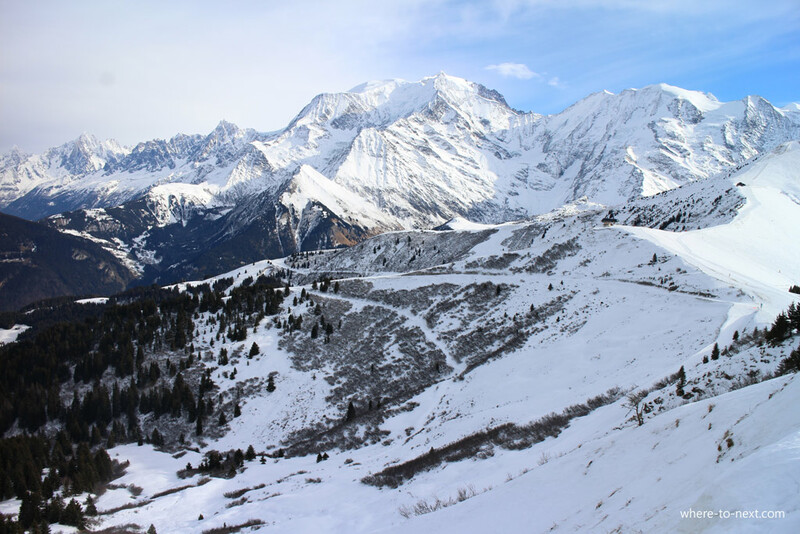 The teens found a great set of runs down the other side of the Ideal, following the Chateluy, catching the Bosses drag lift and then a red run down to connect back onto the green Chateluy, which they followed all the way down to the bottom gondola in St Gervais. 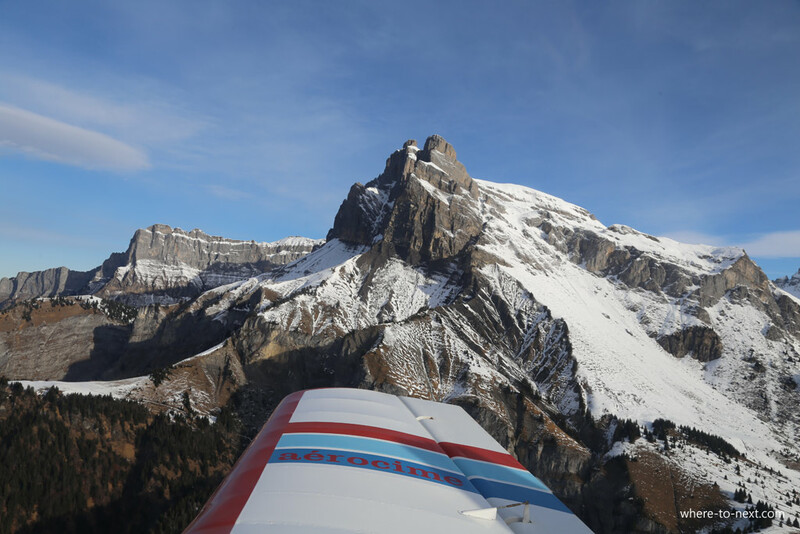 The following day, while the teens continue to shred, we take a scenic flight, a bird’s eye view of the surrounding mountain range – and what a magnificent landscape it is, high peaks against clear blue skies, interspersed with ominous looking glaciers, and the valleys far below us, dotted with tiny villages. 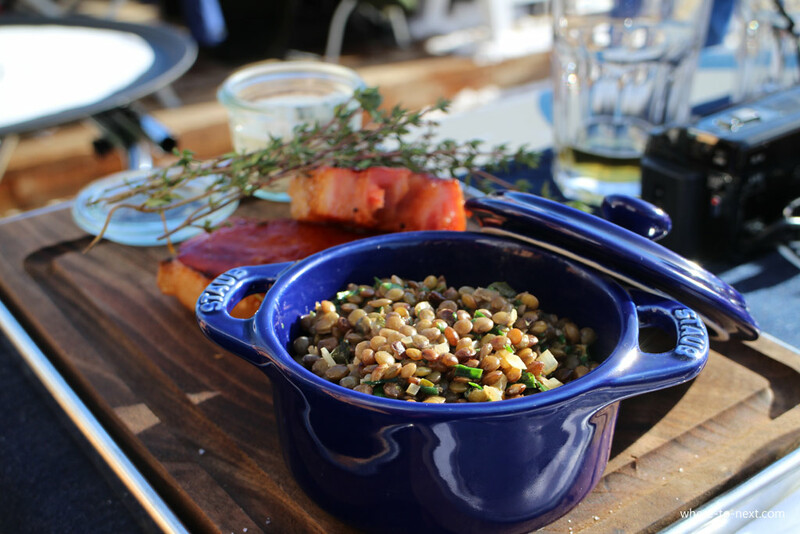 The choice for dinner in Megéve is equally impressive, in fact our hotel, the Chalet St George, has two restaurants, one specializing in roasted meats, La Table du Trappeur, where you can choose from wild boar, pigeon or a knuckle of lamb. 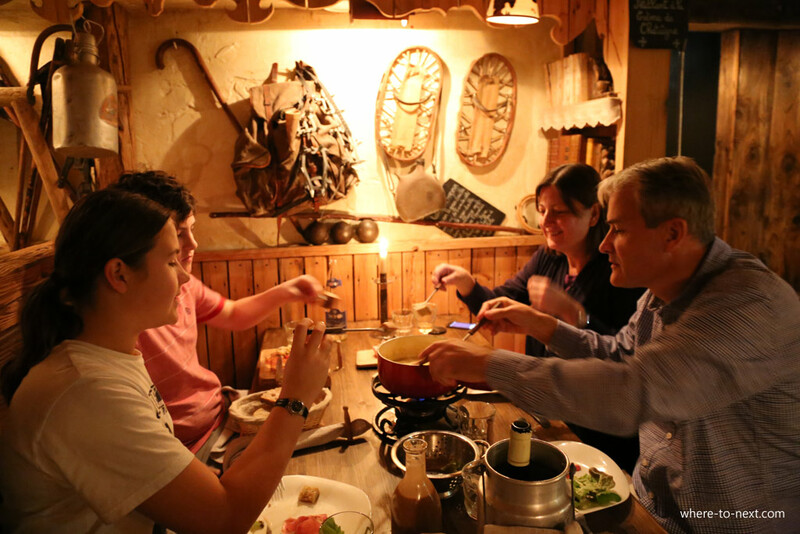 In the heart of the village, Le Torrent serves traditional Savoyarde fair, including a family fondue, which is a lot of fun. The restaurant is decked out in furs and the stuffed heads of animals, there’s even the head of a polar bear in the toilet cubicle for that unique selfie opportunity. Chalet Saint Georges is a traditional hotel in the centre of the village, within close walking distance to the first chairlift. It’s cosy and warm and just how I would imagine a chalet to look and feel like. The writer was a guest of France Montagnes , Megeve Tourisme, Val d’Isere Tourist Office and Office de Tourisme de Val Thorens.